All Muslims, regardless of their level of eeman, want to get closer to Allah. We strive for a deeper connection with Him through the way that we worship daily, and we aim to improve the quality of our Salah by offering more meaningful prayers. It will be foolhardy of us to think that we can improve our lives without the help of Allah (swt), and considering that a lot of Muslims sometimes find Salah challenging, we need to ask the one who accepts our Salah to make it easier for us. This is a good dua for anyone who wants to find it easy to improve the quality of their Salah, and for anyone who struggles to even establish the daily prayer at all. So before we start on the road to performing more meaningful prayers, we should seek the help of Allah (swt). A lot of us already have a ritual for our day. But how many times do we make sure that our daily rituals and activities revolve around Salah and not the other way round? When you wake up at the crack of dawn, you know how many minutes you have to get ready for work or school. You plan your commute so that you are not late, and you schedule social activities around your work hours. What if your day was broken into five parts, with each Salah as the pillar? And then you structure your day such that whatever you are doing does not clash with the time of Salah. One of the things that affect the quality of our Salah is that we have filled up our days with so many activities, such that when it is time for Salah, we just want to quickly pray and get back to our other activities. Meaningful prayer requires proper planning. We need to carve out the times of prayer and treat them as sacred the way we would treat our resumption time at the workplace. How often do you look forward to Salah? 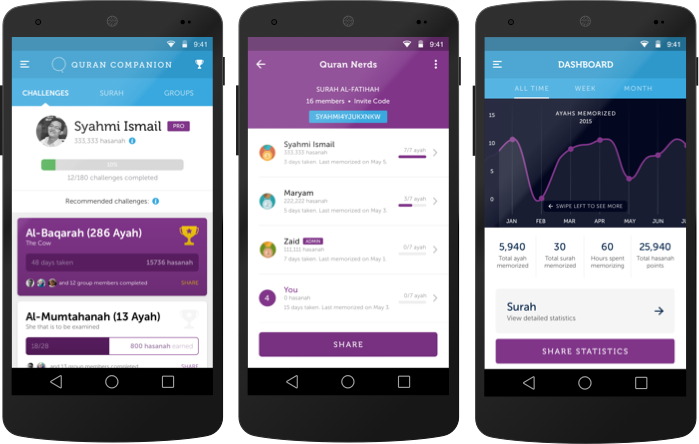 Does your heart yearn for the next Salah, or are you reminded by the athan app on your phone? Our hearts should be in a state of constantly thinking about Salah if we want to improve the quality of our Salah. Because we all know that the thing at the topmost on your mind is arguably the thing that you give the most attention to. Think about the rewards of performing Salah on time, think about the light that will appear on your face on the day of judgement, think about the things that you want to ask Allah (swt) for at your next Salah. All these things will keep Salah on your mind and make you look forward to your next prayer, in sha’a Allah. Conversations are beautiful and more engaging when we know what to say. It is the same for Salah. 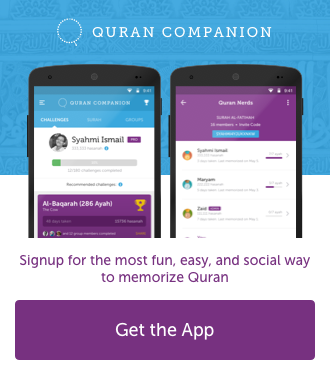 The more chapters of the Holy Quran you know, the less monotonic your prayers become. 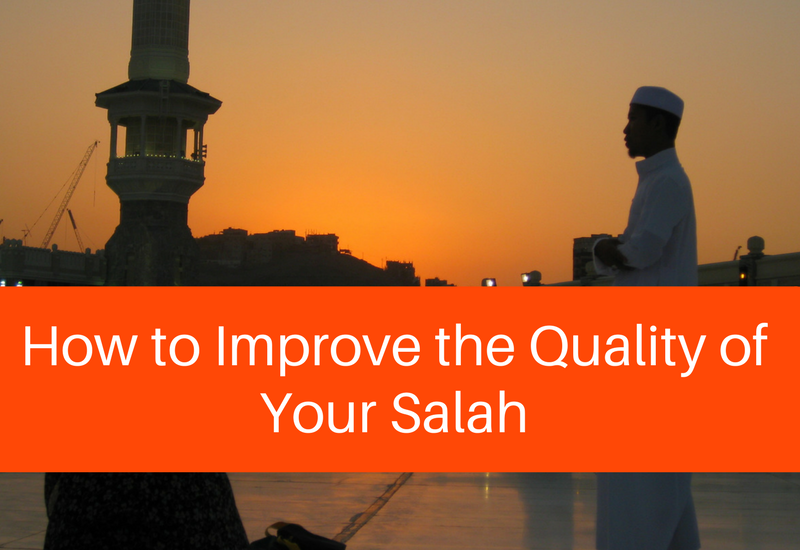 That is the beginning of improving the quality of your Salah. 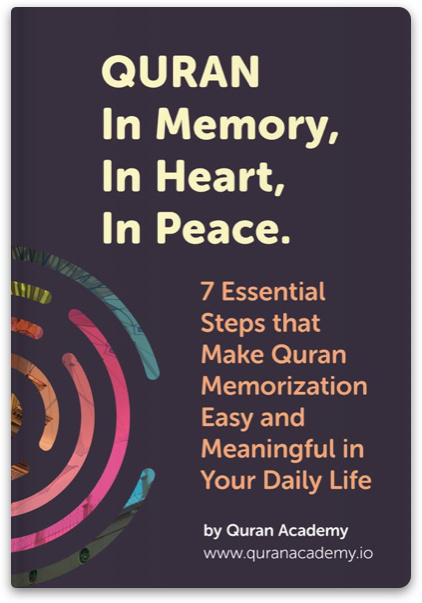 We should continue to memorize as many portions of the Quran as we can, so that with every prayer, we have a lot of options to recite from, and not just repeating the last three chapters of the Quran. Every time you put your forehead on the ground in prostration to Allah (swt), do you know what you are saying? When you sit for the tashaahud, before completing your prayers, do you understand what you are reciting? Do you know how the tashaahud came to be? The more we know about our Salah, the more connected we become, and that will ultimately improve the quality of our Salah. These days, our minds hardly go quiet. There is information everywhere. There is something to read or watch. And because we are in the decade where people have the fear of missing out on trending topics, we find ourselves consuming more information than necessary. The effect of this information overload trickles down to our Salah. While you are praying, shaytaan is whispering to you about that tweet you just read before you started your prayer. Or that Facebook status that caused quite a stir. And you start to think of your response to the Facebook post while on Salah. One of the things that spoil our Salah is the lack of concentration caused by thinking about too many things. This is why it is important to detox your mind. Get rid of thoughts that are not important to you, so that they will not be on your mind when you are on Salah. Imagine being a soccer fan and performing Salah in a room where everyone else is watching a live match? There is a high chance that your concentration will be affected. Our environment plays a huge part in the quality of our Salah. Choose somewhere quiet with no distractions and you will find yourself being able to focus more on your conversation with Allah (swt). People who rush through their Salah miss out on having a meaningful prayer. It is a bit like seeing your friend on the sidewalk and you just wave “hello, bye!” to them without stopping to have a conversation. Salah is a time to connect with Allah (swt). It is a time to slow down from all the speed surrounding us and reflect upon our purpose in life. If you want to improve the quality of your Salah such that your prayers are meaningful and you earn more rewards, you need to slow down when performing Salah. Recite the Quran at a normal speed, focus on your tajweed so that you are pronouncing the words the right way, and give yourself time to let the words of Allah (swt) have an effect on your heart. People say that to get better at something, you need to consistently practice it. The quality of our Salah cannot increase if we only pray whenever we remember, or whenever is convenient. If we want to improve the quality of our Salah and attain that connection that we crave with Allah (swt), we should pray more often, and as much as we can. That includes observing all five obligatory prayers, the voluntary prayers, and the midnight voluntary prayers. Seeking knowledge is a duty upon every Muslim. And this is a duty that leads us to more understanding about our faith. The more you know about Islam, the more you love it, and your heart yearns to fulfill all that Allah (swt) has commanded of us. The more we know about the history of Islam, the better we understand the importance of Salah and the reason why we should strive to improve the quality of our Salah. It is possible for us to attain that level of consciousness where we offer Salah more, and with better understanding. And as Muslims, we know that this is one of the goals that we should strive for the most in this life so that we can see the rewards in the hereafter.